Well designed infographics communicate a lot of information in a simple tidy form. They can be used to convey processes like Anaerobic Digestion for Greenville Energy in Ardstraw. 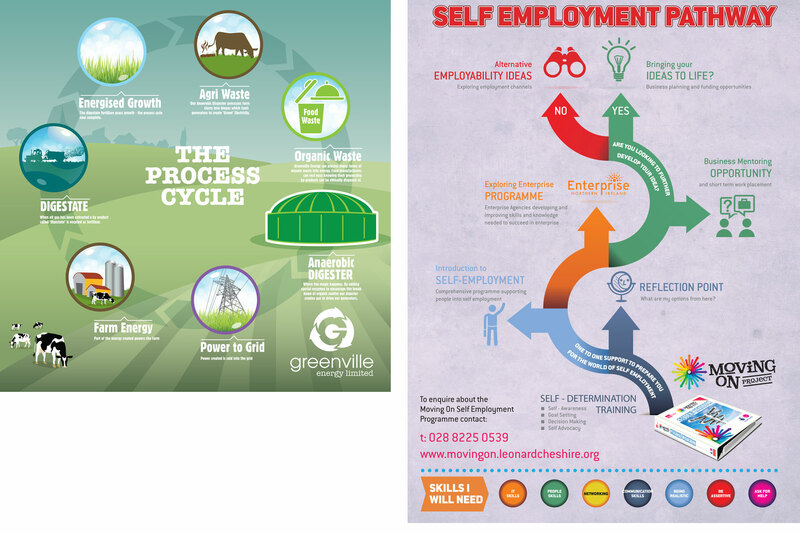 Similarly Leonard Cheshire’s Moving On Project infographic was designed to convey career path options. Both these designs contextually convey complex content in a simplified instantly understandable form. Infographics can be considered visual communication in it’s highest form.